Eric Mancini is an American artist, whose work is recognizable for using patterns, but also for constant experimenting with different things, not letting to be limited to just one style. As someone who tries to show emotions to the viewers, through his paintings, the artist always pays close attention to the control over the mediums and colors themselves. His vibrant, colorful, and vivid art is influenced by the street and graffiti scene, mostly from his neighborhood, but also by other eminent artists in this field. The artist was born in Denton, Texas, where he grew up. Ever since Mancini was a kid, he was surrounded, and interested in art. Whenever his brother was taking piano lessons, he would go with his mother to Hastings, where he asked for the latest Calvin and Hobbes comics and How to Draw Superheroes books. After the elementary school, his area of interest moved to sports. 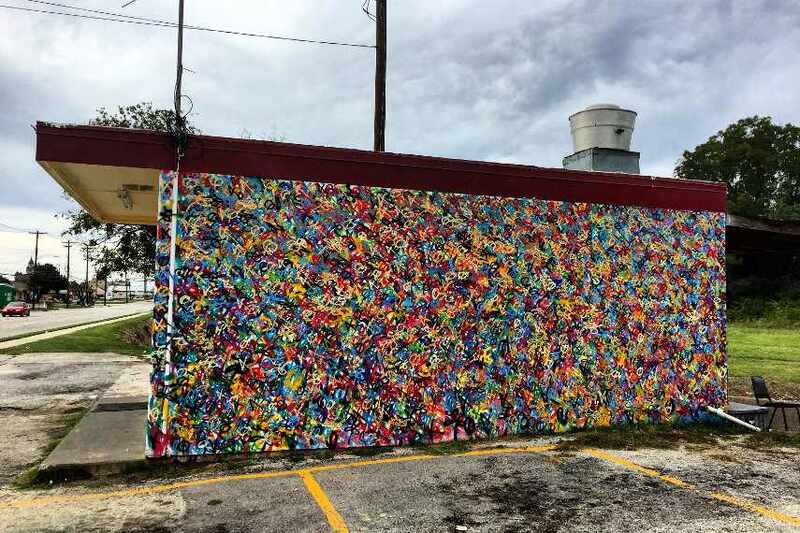 During the studies at the The University of North Texas, Eric was turned off by the 2008 financial meltdown, so he quit his studies in Finance, and turned to art and painting, by throwing paint, literally everywhere. 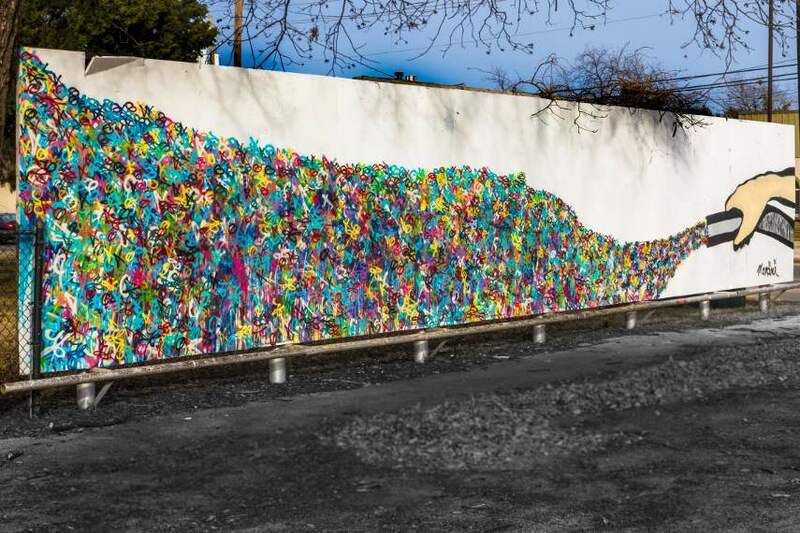 His art is influenced by the graffiti artist such as Martin Whatson, whose work differs from his, because of the randomness in his approach, unlike the paternalistic look that is characteristic for Mancini. Another big influence comes from Jean-Michel Basquiat, in whom he sees the similarity with himself, both in the loose and free style, as in the way of life. 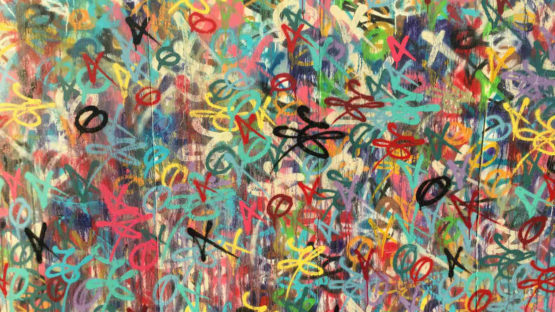 For this artist, painting makes him disconnect with whatever he wants to get away from. The bright colors, which Eric uses to provide a calming effect, usually include pop culture slogans or icons that send messages about national problems. Mancini’s inspiration comes from the local artists in Denton and the DFW metroplex. The technological advancement of today’s world led him to feel disconnected and separated from his fellows, more than ever before. Never-ending struggle to control the chaos inspired him to put an order in his signature XO hand style, by creating a subtle uniform pattern. He mixes concepts of street and pop art, with loud colors and eccentric designs, therefore, fusing contemporary aesthetics with an urban edge. 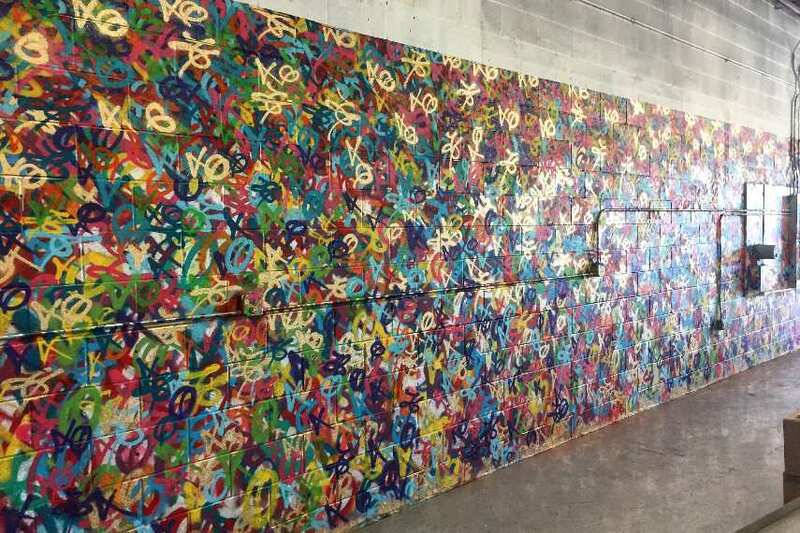 The project Eric is most proud of is when he covered 1200 sqft house in the Bishop Arts District of Dallas with his patterns and squiggles, also known as The Kemp House, named after the family that lived there before. Another famous mural is the depiction of the Andy Warhol’s iconic Marilyn Monroe, whose face was painted out in an abstract style. His other works were displayed at the Kettle Art Gallery in Deep Ellum. The artist lives and works in Denton, Texas.